Hi Shirley, It is very nice of you to write to me. My job has become redundant and I need to find other employment. I had planned to write to you closer to my last day, but I’ll take this opportunity now to tell you that it has been an absolute pleasure working with you. You have always been so diligent, conscientious and sweet. I can only hope I encounter other colleagues of your calibre wherever I end up next. entities. Since then the business has grown to 740 employees with 4 payrolls being run for us by Pay Solutions. needed to work to very tight payroll timelines and needed a degree of flexibility at times around deadlines (We run 4 payrolls with approximately 130 engagements and 90 terminations a month). payrolls were run on time. Shirley really knows her subject well and provides an excellent service. I highly recommend her and her company. Have been using Pay solutions continuously since 2005 and have always recevied good, prompt service. Shirley has proved very reliable, concientuous and has resolved numerous queries with the Revenue authorities in a very professional manner. 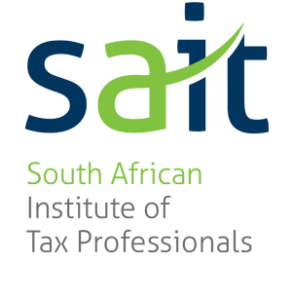 Shirley and her team will take away the burden of paying your staff and monitoring their SARS related issues very professionally and at a good cost to company. Shirley Combe worked for me (over a period of 20 years) at first as a consultant with Unique (Payroll System which I used at Clover Dairies) and later under my management as Group Payroll Manager at Robertsons. In both positions Shirley was a solid, and most reliable asset. What sets her apart from others is her enthusiasm and her desire to make things work perfectly and as required – every time. This is made possible by her indepth knowledge of the systems, rules, regulations and laws of the field in which she works. Shirley is fantastic at what she does. She is incredibly professional, reliable and commited to delivering a very high standard of service.We have been using Shirley’s services since 2001 and we would definitely recommend her as an expert in payroll solutions from end to end. It has been a pleasure working with you over the past few years. 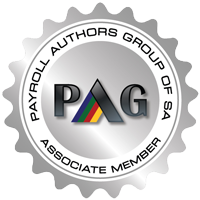 As you have requested, I am happy to provide a reference for the payroll services we have received from Pay Solutions. services were very competitive with other vendors. were way beyond what a normal payroll provider would have done and were invaluable. employees in multiple countries and have engaged many payroll providers. None of them compare to the service we receive from you. Thank you for everything you do. I wish all our providers were as flexible and supportive.